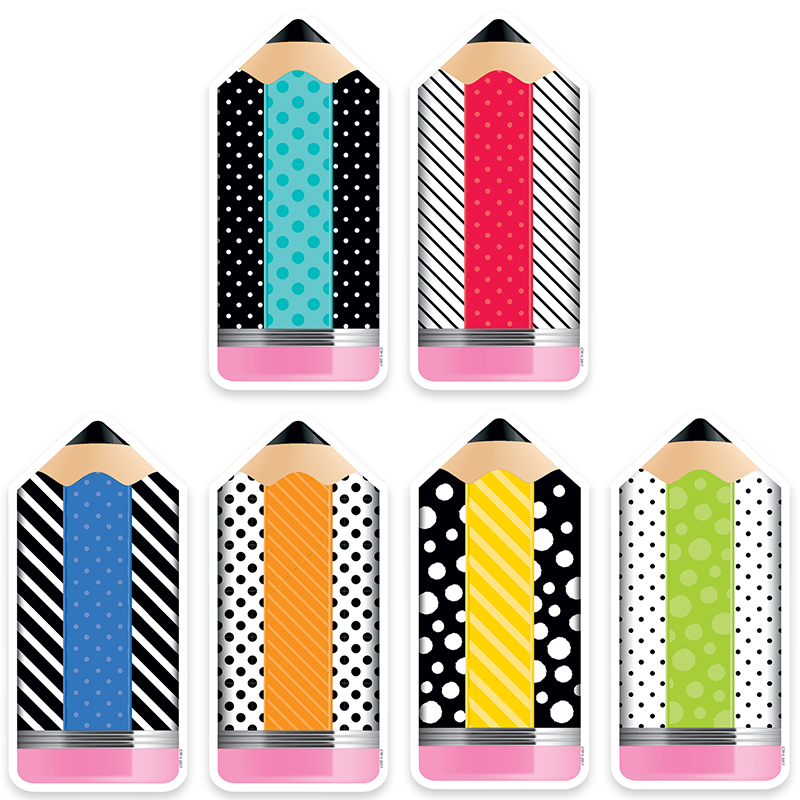 These Striped & Spotted Pencils 6" Designer Cut-Outs are a new take on the classic wooden pencil. The bold dots and striped patterns along with the rainbow of bright colors give these versatile cut-outs a modern twist. 72 per package. 12 each of 6 designs.